We have a number of resources and guidelines that can help with experimental design. Visit the Dementia Researcher website for more information. The Alzheimer’s Research UK Grant Review Board meets twice a year to discuss applications and make recommendations for which projects should be funded. We offer early career researchers (Postdocs and Fellows) the chance to observe these meetings to gain insight into the review process. The next Grant Review Board is in January and applications to observe will open in October. You can use the International Alzheimer’s Disease Research Portfolio (IADRP) online database to visualize and track changes in the Alzheimer’s disease research landscape, identify gaps in critical research areas, explore opportunities for collaboration and avoid duplication in funding. The database is supported by the US National Institute of Aging and the Alzheimer’s Association with the participation of several international funders including Alzheimer’s Research UK. 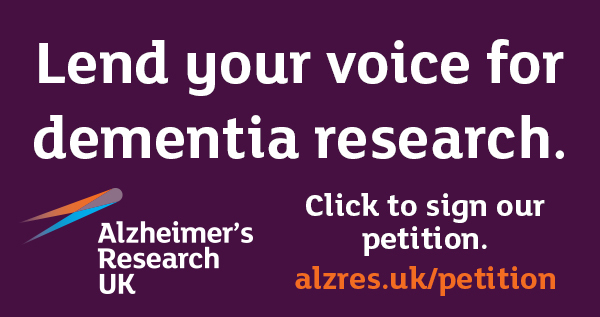 You can also take a look at Alzheimer’s Research UK’s own research portfolio. Brains for Dementia Research (BDR) is a joint initiative between Alzheimer’s Research UK and Alzheimer’s Society, in association with the Medical Research Council, which aims to provide high quality human brain tissue to the dementia research community. Not only does BDR provide ‘gold standard’ histopathological samples (including age-matched controls), but each prospective donor takes part in regular, standardised cognitive assessments. As such, donated brain tissue comes which a rich medical history – a unique feature of BDR over other sources of brain tissue. The scheme is open to researchers in the UK and internationally. BDR can grant ‘generic ethical approval’ to UK based researchers. This will, in most cases, enable studies to proceed without researchers being required to obtain their own ethical approval, although there may be local institution regulations in place. Please visit the Brains for Dementia Research website for more information. Alzheimer’s Research UK encourages researchers to consider the use of BDR tissue, where appropriate, in their grant applications. Alzheimer’s Research UK is a National Institute for Health Research (NIHR) non-commercial Partner. This means the studies that we fund may be eligible to access NIHR Clinical Research Network (CRN) support. Portfolio Development Groups (PDGs) aim to provide advice and support for researcher groups working together to submit grant applications to fund clinical studies. The Dementias PDG is composed of experts and lay members within the Dementia field that promote the development of innovative ideas into funded research. This includes supporting Writing Groups to formulate and write grant applications. Expressions of interest from researchers interested in applying to Writing Groups support are now being accepted. Support offered includes practical advice over expertise, applicants, patient involvement and study design, as well as logistic support for writing group meetings and post-award advice. We aim to assess whether the Dementias PDG can support your proposal within 1 month of submission. Please contact us if you have not heard within this timeframe. If you have any queries, please contact admin.NDDR@nihr.ac.uk. Are you looking for ways to boost your study recruitment? Do you want to see if a future study would be possible? ‘Join dementia research’ is a fantastic service developed by the NIHR in partnership with Alzheimer’s Research UK and Alzheimer’s Society, which allows the public to register their interest in getting involved in research studies. The aim of Join Dementia Research is to improve the timeliness of study recruitment for researchers, and provide a service to thousands of potential volunteers who want to be involved in research. Please visit the website to find out how to register your study. For those planning research studies in care homes, please take a look at the NIHR toolkit for Enabling Research in Care Homes. The ARRIVE (Animal Research: Reporting In Vivo Experiments) guidelines have been developed by the NC3Rs and are intended to improve standards of reporting and ensure that the data from animal experiments can be fully evaluated and utilised. When planning animal studies, please take a look at guidelines from the NC3Rs for experimental design. Researchers using animals are expected to give appropriate consideration to the 3Rs (Replacement, Refinement and Reduction), make use of the ARRIVE guidelines when designing their experiments, and ensure that they report animal-based studies in accordance with the ARRIVE guidelines as far as possible, taking into account the specific editorial policies of the journal concerned. To get more tips about implenting the 3Rs into your grant applications you can watch a video from our ‘Grant writing for success workshop’. The Alzheimer’s Research UK Research Network is a community of over 1,800 researchers across the UK, with each Network Centre providing pump priming, travel and equipment funding as well as local networking events. Our focus is to accelerate the ‘bench-to-bedside’ journey: our funding seeks to translate scientific findings into patient benefit as rapidly as possible. We have a wide range of flexible and responsive grant schemes for both clinical and basic researchers, including project, career development and equipment grants. Let us know! We like to shout about the great work our researchers are doing. Tell us when you submit a paper and we can help to get your research more coverage.